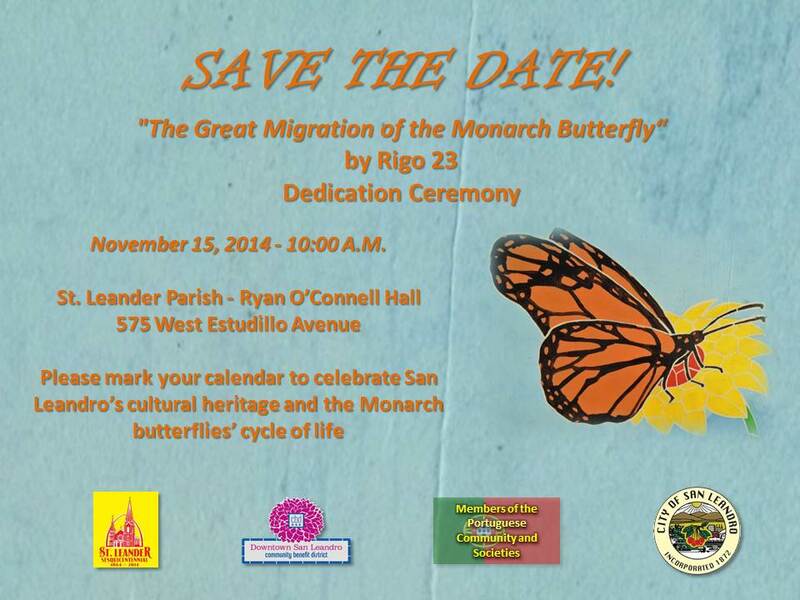 The City of San Leandro, St. Leander Parish, Downtown San Leandro Improvement Association and members of the Portuguese community invite members of the public to attend the dedication ceremony for the “The Great Migration of the Monarch Butterflies” mural. The ceremony will be held on Saturday, November 15, 2014 at 10 A.M. at the St. Leander Parish – Ryan O’Connell Hall at 575 West Estudillo Avenue. Click here for more information about the mural.